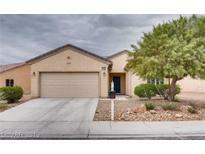 Below you can view all the homes for sale in the Sun City Aliante subdivision located in North Las Vegas Nevada. Listings in Sun City Aliante are updated daily from data we receive from the Las Vegas multiple listing service. To learn more about any of these homes or to receive custom notifications when a new property is listed for sale in Sun City Aliante, give us a call at 702-323-5963. Larger stone patio for relaxing or entertaining TURNKEY! MLS#2089943. Keller Williams Market Place I. Community Features: Indoor swimming pool/spa, tennis courts, basketball courts, library/computer room, billiard tables, meeting/banquet rooms, and social calendar. MLS#2088813. Realty ONE Group, Inc. Exceptional community amenities, meticulously maintained neighborhood, outstanding value MLS#2089016. Redefy Real Estate. Community has many amenities and great location. So much to see! MLS#2087373. eXp Realty. WON"t LAST LONG . NO SID/LIDS ALL PAID OFF MLS#2083996. Trend Setters Realty. Lots of amenities, indoor pool/spa, fitness center, social calendar. MLS#2083642. Realty ONE Group, Inc.
Upgrades include , built in gas BBQ, Lennox whole home air filtration, upgraded refrigerator, under counter LED lighting, backsplash, raised panel cabinets just to name a few. Move in and enjoy. MLS#2083679. Vegas International Properties. Sun City Aliante Is A 55+ Age-restricted Community. MLS#2084340. Simply Vegas. Enjoy morning coffee on the beautiful covered patio with pony wall addition. Resort Community Amenities! WOW MLS#2084136. Wardley Real Estate. Fully Upgraded Kitchen And Bathrooms With A Steam Shower And Custom Walk-in Safety Bathtub. MLS#2084627. Rothwell Gornt Companies. Master Bath With Step In Shower And Double Sinks.Open Floor Plan For Easy Entertaining And Large Great Room.Enjoy The Beautiful Mountain View From Your Extended Covered Patio In The Fenced Back Yard.Complete With All Appliances And Ceiling Fans. MLS#2084967. Cline Realty. Enjoy ceiling fans and blinds throughout, tile in the main areas and carpeting in the bedrooms. *Subject to Probate Court Approval. 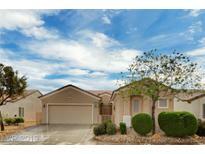 * MLS#2082360. Keller Williams Realty SW. Meticulously Maintained Home In Sun City Aliante*freshly Painted Outside*updated Inside*spacious Kitchen W/Breakfast Bar That Opens Into Living Room*large Open Living Area With Sliders To Patio And Back Yard*fully Fenced*master Suite W/Walk In Closet*light And Bright Secondary Bedrooms*gated Courtyard*must See* MLS#2083149. Coldwell Banker Premier. Close to shops, parks, library, & Northern 215 Beltway. MLS#2081351. BHHS Nevada Properties. Community includes: Indoor pool & spa, fitness center, library/computer room, social calendar. MLS#2082696. Realty ONE Group, Inc.
Community Features: Indoor pool/spa, fitness center, library/computer room, social calendar. MLS#2082254. Realty ONE Group, Inc.
Community Club house offers Swimming, golf and much more! MLS#2073429. NextHome Community Real Estate. Mountain vies & great community resort like amenities! MLS#2080083. Wardley Real Estate. Community Features: Indoor pool and spa, library/computer room, tennis courts, fitness & Social Calendar MLS#2080238. Realty ONE Group, Inc.
Garage floor epoxy finish. Exterior painted 2018. 12x40 patio MLS#2079932. Reiss Properties. Community Pool & Spa, exercise room and tennis courts. Must see to appreciate !! ! MLS#2079859. Realty ONE Group, Inc.
Stone veneer on front of home! MLS#2078714. Urban Nest Realty. Don't let this one slip through your hands! Call today! MLS#2076928. King Realty Group.